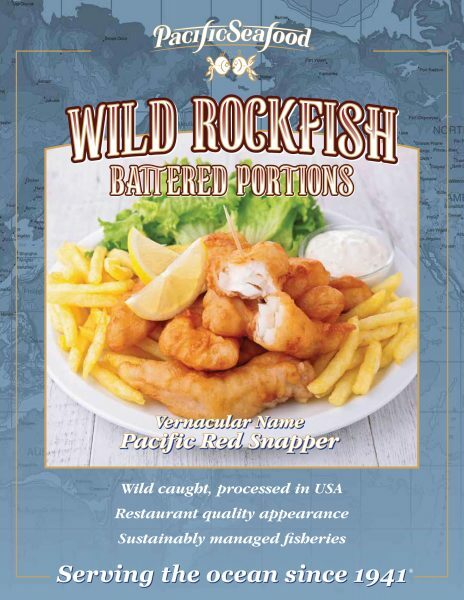 Ever-increasing in popularity, Pacific Seafood’s rockfish is affordable and incredibly versatile with its sweet, mild flavor and flaky texture. 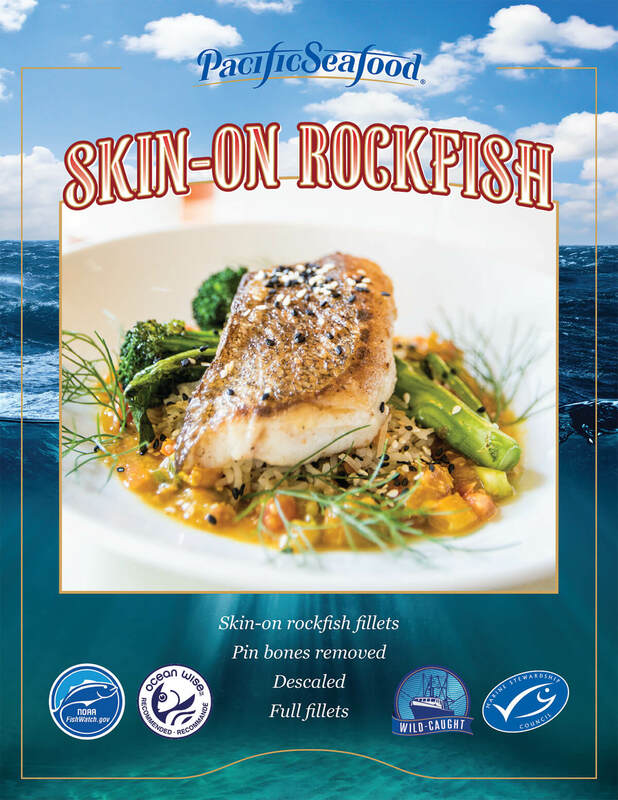 Sustainably harvested from waters off the coasts of California, Oregon, Washington, and British Columbia, many varieties of rockfish are recognized by Monterey Bay Aquarium Seafood Watch as being a green Best Choice for sustainability and many species are also MSC certified. 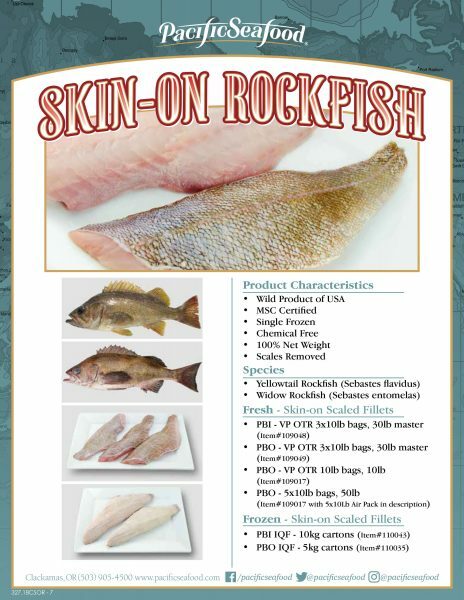 Rockfish is a medium-firm fish that is great baked, sautéed, broiled, or poached. 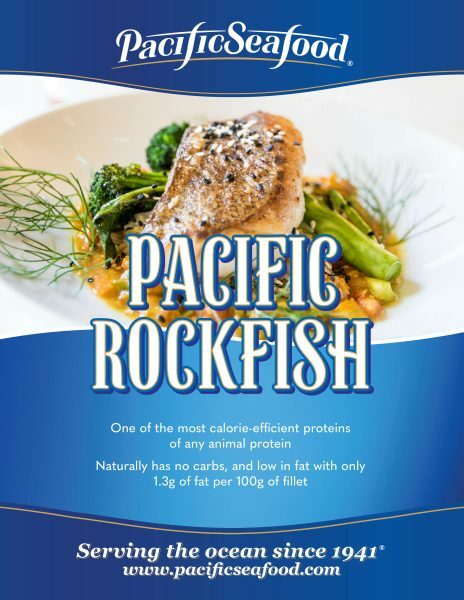 You can spice it up for fish tacos and ceviche, or simmer it slowly as an addition to soups and stews. 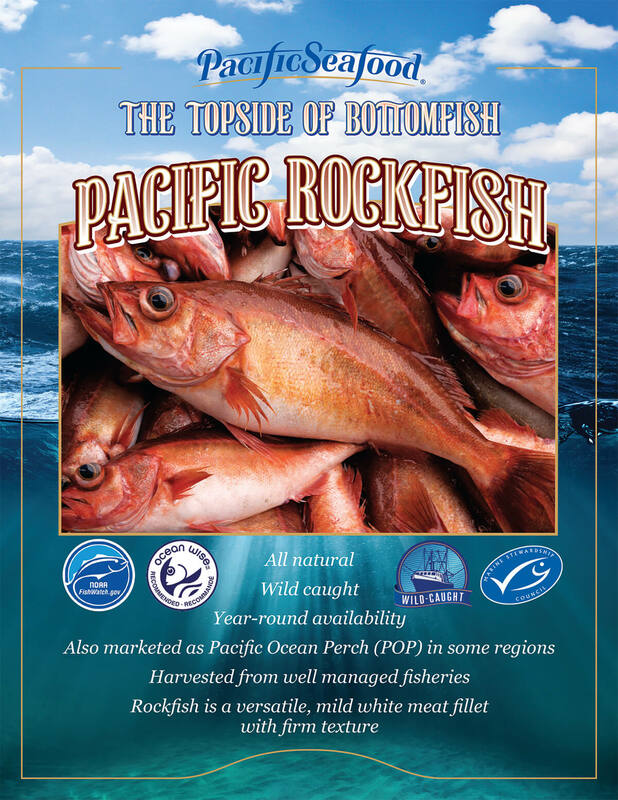 Marketed widely as Pacific snapper or “Rock Cod,” rockfish are an important year-round source of bottomfish on the West Coast, and a seafood staple for supermarkets and restaurants from coast to coast.